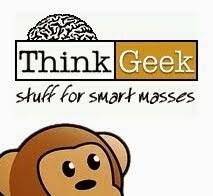 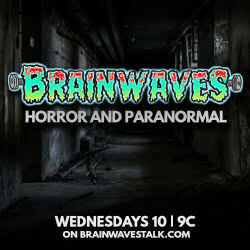 Madness is coming again! 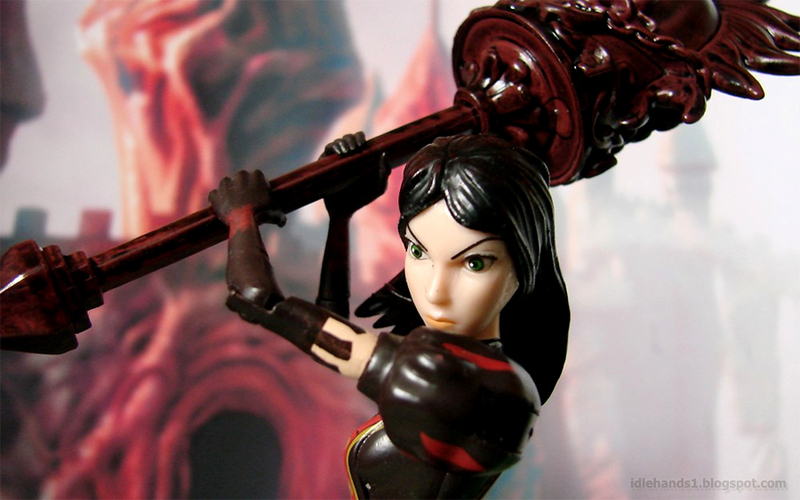 The response to the first series of figures from from the hit video game American McGee's Alice: Madness Returns was so overwhelmingly positive that Diamond Select Toys is coming out with yet another version of heroine Alice Liddell! 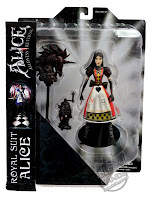 Joining the standard Alice and Hysteria Alice figures is Royal Suit Alice, featuring Ms. Liddell in yet another outfit that provides different benefits and abilities in different regions of Wonderland. 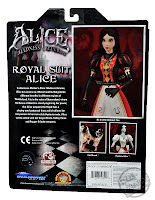 Alice acquires the Royal Suit, which helps her access her invincible Hysteria mode, in the ruins of Queensland, where the Queen of Hearts is slowly regaining her power. Royal Suit Alice comes armed with her Vorpal Blade, Hobby Horse and Pepper Grinder weapons. 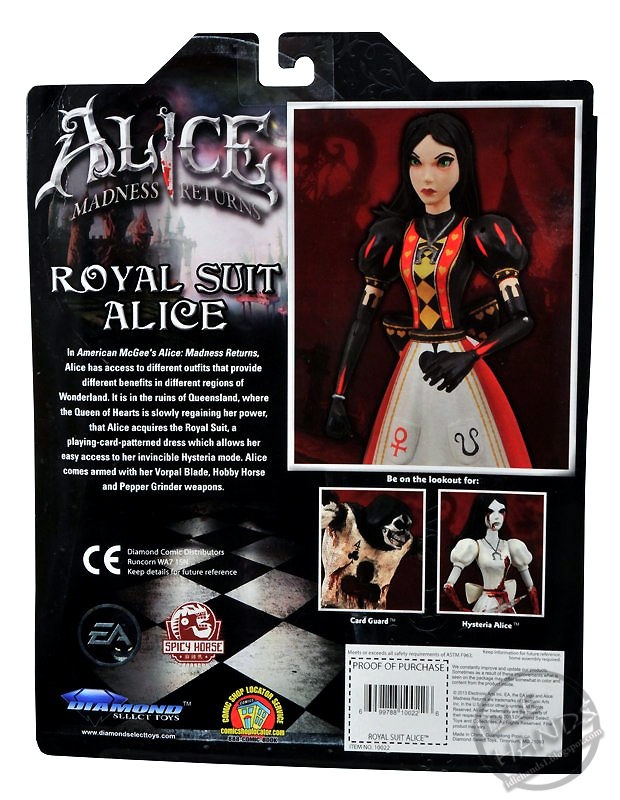 Check out the packaging below, and look for Alice to hit comic shops and specialty stores in April!